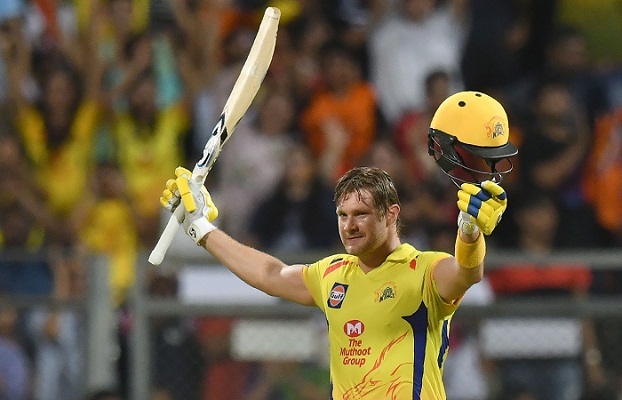 Shane Watson smashed an unbeaten 117 as Chennai Super Kings thrashed Sunrisers Hyderabad to win their third Indian Premier League title in a spectacular return from a two-year corruption ban. The 36-year-old Australian hit eight sixes and 11 fours in his stunning 57 ball innings as Chennai took just 18.3 overs to overcome Hyderabad's 178-6 off 20 overs. Chennai finished on 181-2 to crush their opponents by eight wickets. Ambati Rayudu was also unbeaten at the end on 16 in Mumbai's Wankhede Stadium which was packed with more than 33,000 people. Chennai, IPL winners in 2010 and 2011, were banned for two seasons in 2015 along with Rajasthan Royals after team officials were found guilty of involvement in illegal gambling.